You still have time to enter our "Flawless Contest." Get one FREE Entry with your $100 purchase of ANY Panini Basketball Product! 2014-15 Select is the HOTTEST product in The Galaxy. If you have been following our posts, you've seen tons of 2014-15 Select Basketball Super Hits pulled by our customers (see more below). And, they're getting a FREE Entry into our "Flawless Contest." Don't be left out. Go to Sports Cards Plus TODAY. Pick your box of Panini Basketball from The BEST CASES in The Hobby at the LOWEST PRICE in The Galaxy and enter our "Flawless Contest." J. D. gave two boxes of 2014-15 SP Authentic Basketball a try. 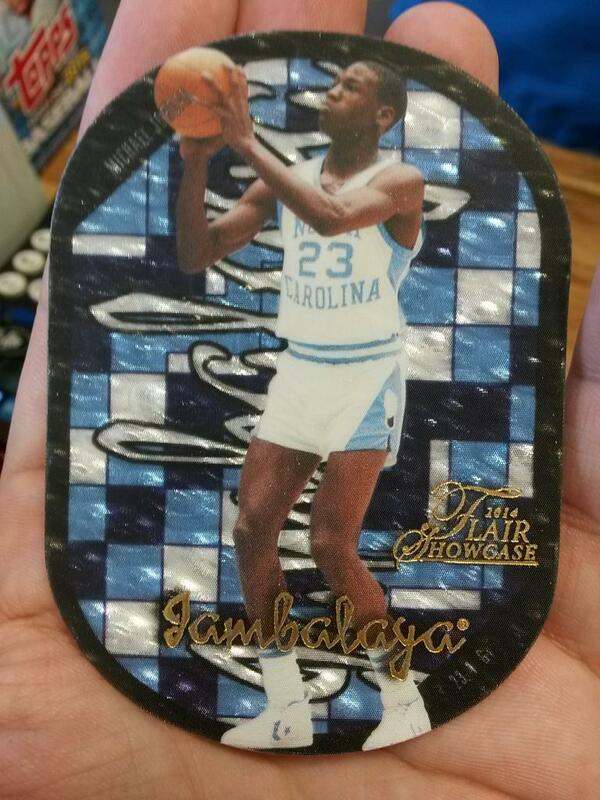 First box resulted in a Michael Jordan Jambalaya. As of 1:36 p.m. on Sunday, only 2 have been listed on eBay. 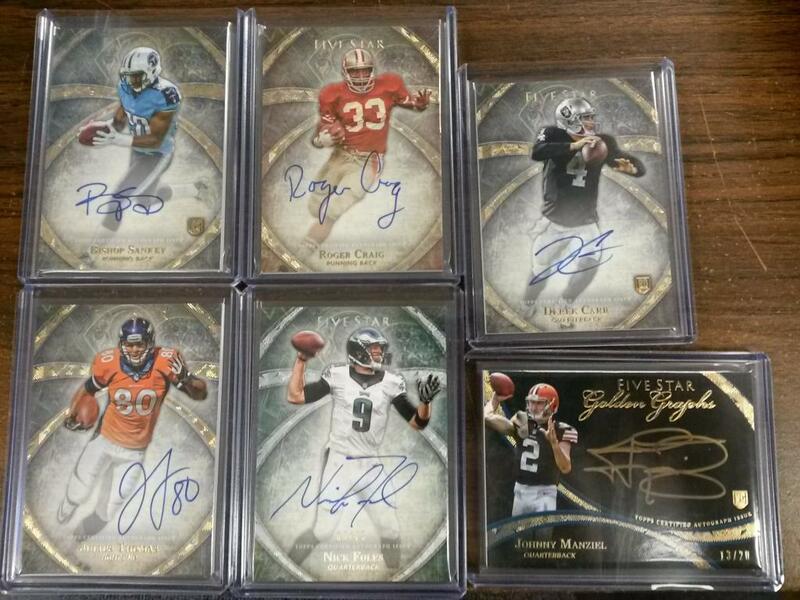 J. D. knows The BEST CASES in The Hobby are at Sports Cards Plus, so he gave a second box a try. J.D. was rewarded with a Julius Erving (Dr. J) Autographed Jambalaya 3/3. Only 3 made! One of our customers is under "The Witness Protection Program. 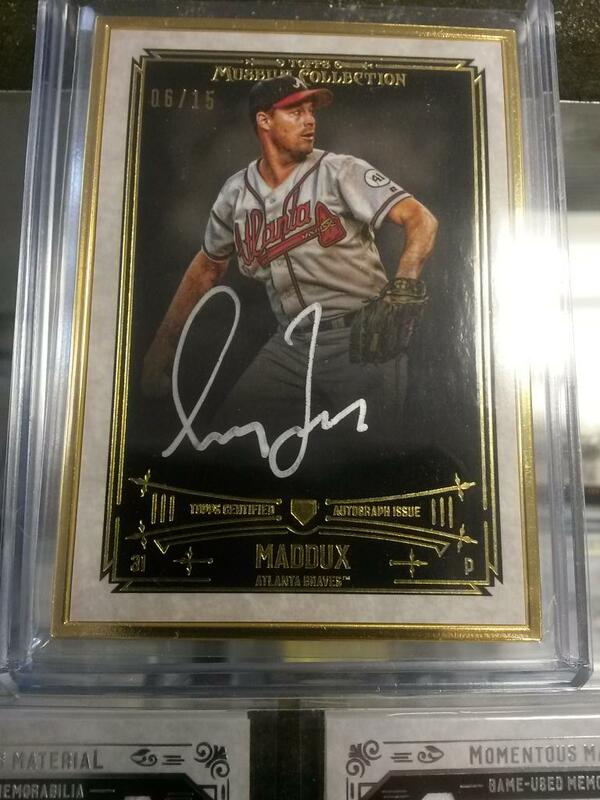 His box of 2015 Topps Museum Baseball got him a Gold Framed Silver Ink Auto of Greg Maddux, so he decided to buy one more pack. That pack got him a Clayton Kershaw and Yasiel Puig Dual Jumbo Jersey Book #d/5! 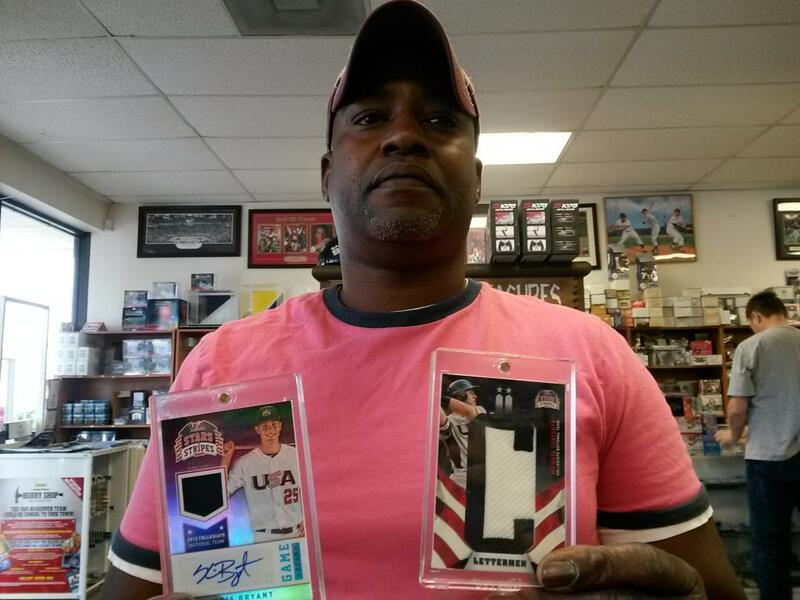 Ken came in for the new 2015 Panini Stars & Stripes Baseball and pulled a Kris Bryant Autographed Team USA Jersey Patch 11/25 and Michael Conforto Letterman Jersey Patch Auto 1/8! Scott came in for the hottest product in the Galaxy, 2014-15 Select Basketball and to get his FREE Entry into our "Flawless Contest. Here is Scott with his Chris Bosh 1/1 Black Prizm Dual Jersey Patch, Jabari Parker Auto Jersey RC, and Andrew Wiggins Green Prizm.